We deliver demand management and energy efficiency solutions that are powerful, simple and cost-effective. 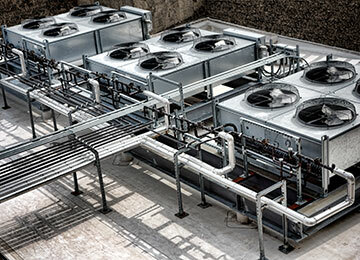 We use innovative cloud-based systems that integrate with your existing Building Management System to combine these resources with ambient temperature conditions, live weather feeds and forecasts, and the thermal profile of the building to facilitate real-time “floating” of set-points, HVAC control and predictive optimization. We monitor and analyse the performance of the components that make up your system, and continuously run sophisticated diagnostic algorithms that detect faults or mismatched operations well beyond the capability of your BMS. Whether for one building or thousands of buildings, Building And Asset Tuning automates the BMS response to real-time conditions and gives you recommended actions to keep your systems tuned and running efficiently, actions that will save you money and give you peace of mind. Building And Asset Tuning is consistently delivering ongoing energy consumption reductions of 5% to 30% p.a without impacting business operations. No Building Management System? No problem, click here for our solution for buildings with no BMS.